The knee joint has three parts. The thigh bone ( femur) meets the large shin bone ( tibia) to form the main knee joint. This joint has an inner (medial) and an outer (lateral) compartment. The knee cap (the patella) joins the femur to form a third joint, called the patellofemoral joint. The Joint capsule surrounds the knee joint with ligaments strapping the inside and outside of the joint (collateral ligaments) as well as crossing within the joint (cruciate ligaments). The collateral ligaments run along the sides of the knee and limit the sideways motion of the knee. The anterior cruciate ligament (ACL) connects the tibia to the femur at the center of the knee and functions to limit rotation and forward motion of the tibia. The posterior cruciate ligament located just behind the ACL limits the backward motion of the tibia. All of these ligaments provide stability and strength to the knee joint. The meniscus is a thickened cartilage pad between the two joints formed by the femur and tibia. The meniscus acts as a smooth surface for the joint to move on. The large muscles of the thigh move the knee. In the front of the thigh the quadriceps muscles extend the knee joint. In the back of the thigh, the hamstring muscles flex the knee. The knee functions to allow movement of the leg and is critical to normal walking. The knee flexes normally to a maximum of 135 degrees and extends to 0 degrees. Injury can affect any of the ligaments, bursae, or tendons surrounding the knee joint. Injury can also affect the ligaments, cartilage, menisci (plural for meniscus), and bones forming the joint. Trauma can cause injury to the ligaments on the inner portion of the knee [medial collateral ligament] the outer portion of the knee (lateral collateral ligament), or within the knee (cruciate ligaments). A collateral ligament injury is often associated with local pain over the area of the ligament involved. A cruciate ligament injury is felt deep within the knee. It is sometimes noticed with a “popping” sensation with the initial trauma. A ligament injury to the knee is usually painful at rest and may be swollen and warm. The pain is usually worsened by bending the knee, putting weight on the knee, or walking. Patients can have more than one area injured in a single traumatic event. Ligament injuries are initially treated with ice packs and immobilization, with rest and elevation. It is generally initially recommended to avoid bearing weight on the injured joint, and crutches may be required for walking. Some patients are placed in splints or braces to immobilize the joint to decrease pain and promote healing. Arthroscopic or open surgery may be necessary to repair severe injuries. The meniscus can be torn with the shearing forces of rotation that are applied to the knee during sharp, rapid motions. The patient with a meniscal tear may have a rapid onset of a popping sensation with a certain activity or movement of the knee. It is often associated with locking or an unstable sensation in the knee joint. The doctor can perform certain maneuvers while examining the knee which might provide further clues to the presence of a meniscal tear. Routine x-rays, while they do not reveal a meniscal tear, can be used to exclude other problems of the knee joint. The meniscal tear can be diagnosed in one of two ways: arthroscopy or MRI. Meniscal tears are generally repaired arthroscopically. Tendinitis is an inflammation of the tendon, which is often produced by a strain event, such as jumping. It is diagnosed based on the presence of pain and tenderness localized to the tendon. It is treated with a combination of ice packs, immobilization with a knee brace as needed, rest, and anti inflammatory medications. Severe knee trauma, such as motor vehicle accidents and impact traumas may result in fracture of any of the three bones of the knee ,. Bone fractures within the knee joint can be serious and can require surgical repair as well as immobilization with casting or other supports. Arthritis is inflammation within a joint. 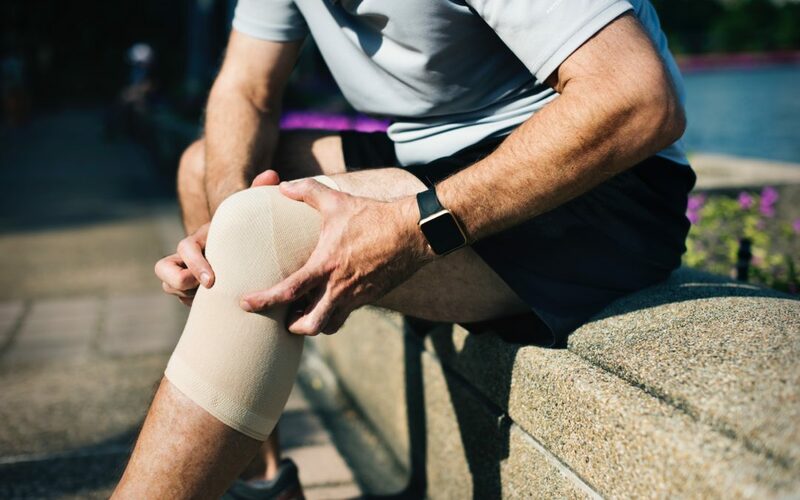 The causes of knee joint inflammation range from noninflammatory types of arthritis such as osteoarthritis, which is a degeneration of the cartilage of the knee, to inflammatory types of arthritis (such as rheumatoid arthritis or gout). Treatment of the arthritis is directed according to the nature of the specific type of arthritis. Chondromalacia refers to a softening of the cartilage under the kneecap (patella). It is a common cause of deep knee pain and stiffness in younger women and can be associated with pain and stiffness after prolonged sitting and climbing stairs or hills. While treatment with anti inflammatory medications, ice packs, and rest can help. Long-term relief is best achieved by strengthening exercises for the quadriceps muscles of the front of the thigh.